This factory was founded on February 10th 1919 with Mr. Zawatzki as manager who was the former chief decorator of the ⇒Württembergische Porzellanmanufaktur Bauer & Pfeiffer in Schorndorf. 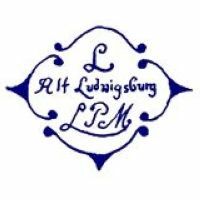 That company had applied for permission to use the marks of the Ludwigsburg facility that had been closed in 1824 and had been granted the right to use them if they included a 'WPM' for Württembergische Porzellanmanufaktur. 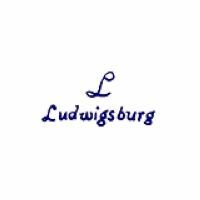 Zawatzki wanted to copy the marks directly (omitting the 'WPM' addition) and stated they had been copying the marks and using the name 'Alt-Ludwigsburg' all the time anyway. 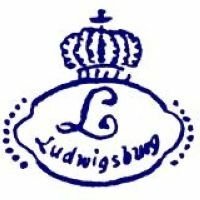 After being reprimanded yet again he left the company and moved to Ludwigsburg where he opened his own factory. 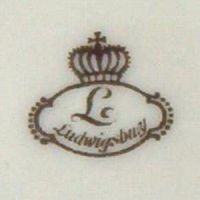 This of course lead to legal consequences as his former employer, who was after all officially entitled to use the Ludwigsburg marks, called for intervention by the district court and accused the new company of using the misleading name of 'Alt-Ludwigsburg' simply to trick customers into thinking the company was a successor of the original ⇒Herzöglich-Königliche Porzellan-Manufaktur Ludwigsburg or at least had something in common with the original. 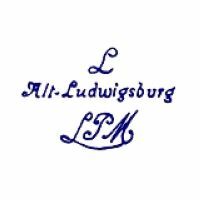 It is not known if the Prince of Württemberg influenced the proceedings, but Zawatzki had to drop the name of 'Alt-Ludwigsburg' and change his marks under the threat of being closed down based on the second court decision from December 12th 1919. The business was renamed and at the same time transferred into a limited company under the eyes of the district court. The close supervision turned out positive as it was most probably the reason that in 1921 the company was trusted with the difficult (and constantly supervised) task to produce a special form of money, the so-called ⇒Notgeld, as the German Mint was not able to produce enough money to cope with the very high inflation rates. Ironically the company ran into financial problems a few years later and had to file for inolvency and as no bank was willing to support the company it was closed by liquidation on August 1st 1927. Used between 1919 and 1920. Used between 1920 and 1927.